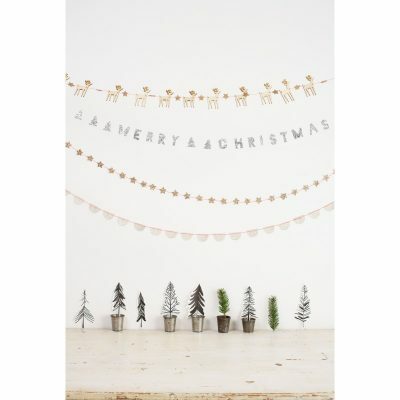 SKU: MM45-2342 Categories: Shimmering Silver Christmas, Christmas Garlands, Garland, ON SALE! 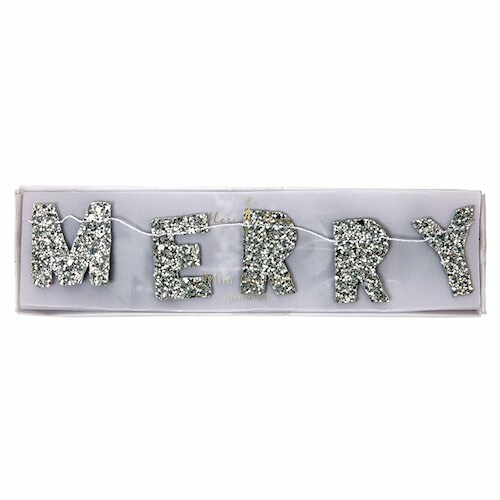 The Mini Merry Christmas Garland is sparkly silver and is a stunning addition to your Christmas decorations. This garland features silver letter pennants and trees embellished with chunky silver glitter and all suspended on silver twine.